Chemical concrete admixtures are added to the concrete mix to achieve certain results and goals. The most popular concrete additives are used to change set times, improve freeze/thaw resistance, improve strength, and for better workability of the concrete mix. When we pour concrete floors in Maine it's important to us to have a concrete mix we can move around easily, we use a water reducer for this. It's important we have freeze/thaw protection, we use air intrainment for this. It's important the mix sets up quickly in cold weather, we use accelerators for this. Most redi-mix concrete companys will work with you to design a concrete mix that fits your needs using these concrete admixtures. 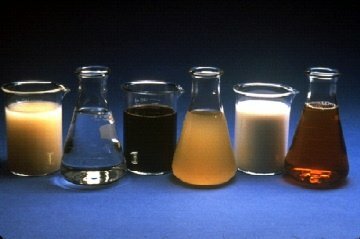 Water Reducing Admixtures - (Also called plasticizer and super plasticizer) Plasticizers reduce the amount of water needed in the concrete mix. The less water (lower water/cement ratio) used to achieve a workable mix will result in a higher strength concrete. There are low, mid, and high range water reducers available that will lower the amount of water needed by 5% - 30%. Most concrete producers add a small percentage of water reducer to all the concrete they batch these days. Grace construction products or WR Grace is one supplier of plasticizer water reducing concrete additives. Air Entraining Admixtures - These are used whenever concrete is exposed to freezing and thawing cycles and where concrete is exposed to deicing chemicals. Air entraining agents add microscopic air bubbles in the concrete mix. 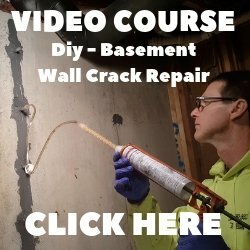 When the hardened concrete freezes, the frozen water inside the air entrained concrete expands into these air bubbles instead of damaging the concrete. Adding entrained air to concrete also improves the workability and durability of the concrete. Accelerating Admixtures - Concrete accelerators are used to speed up the drying time of concrete and accelerate early strength. The amount of reduced set time depends on the amount of concrete accelerator used. Calcium chloride is a low cost, dry flake accelerator widely used in residential construction. Liquid non-chloride concrete accelerators are also widely used for commercial and residential projects. You should know calcium chloride may corrode any steel like wire mesh and rebar used in the concrete for reinforcing. Retarding Admixtures - Concrete retarder is used in hot weather conditions to delay set times. The are also used to delay the set times of concrete on more difficult pours. Many concrete retarding admixtures also act as water reducers. Fly Ash Concrete - This is a by product of coal burning plants. Fly ash can reduce 15% - 30% of the cement in the mix. Cement and fly ash in the mix make up the combined cementious material. Fly ash improves workability, is easier to finish, and reduces the heat generated by the concrete. Slag Cement - This is ground granulated blast furnace slag. Similar to fly ash, slag is used to reduce the cement content 15% - 30% in the concrete mix. It's benefits are better workability and finishability, higher compressive and flexural strengths, and improved resistance to aggressive chemicals. Slag will also reduce the heat generated by the concrete which will retard the set time, especially in colder weather. Concrete admixtures are a necessary part of the many uses of concrete. 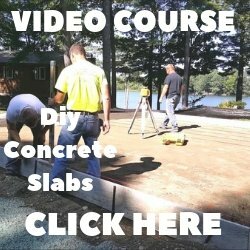 They can help improve the overall finished product and make the job of installing concrete much easier.